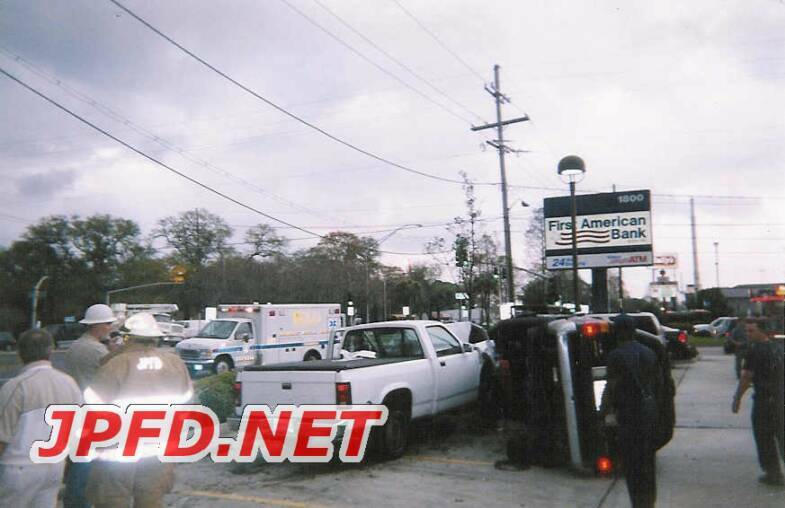 JPFD.net On Scene: Multi Car Accident@Bonnabel and Vets. 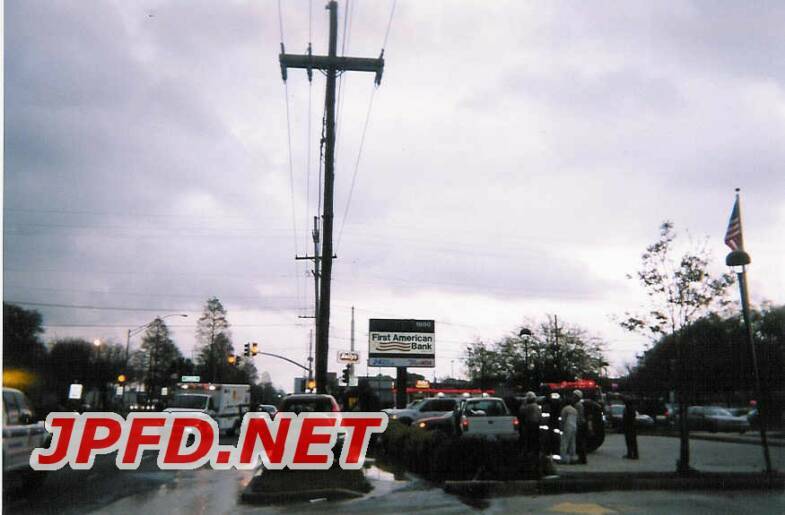 On an overcast day in March, firefighters from several stations were dispatched to a car accident in front of the Bank of America@Bonnabel and Veterans. 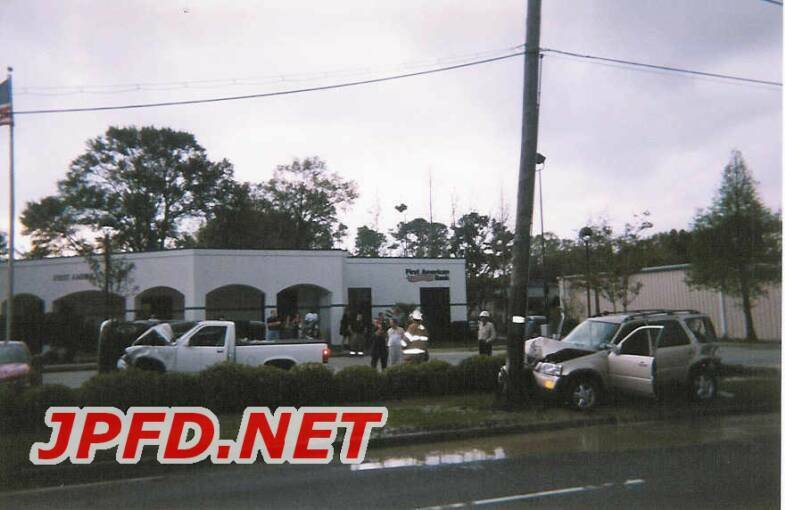 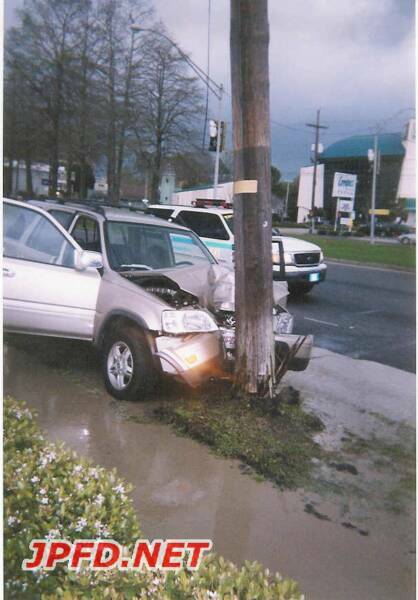 Upon arriving on the scene, they determined that three cars were involved in an accident. 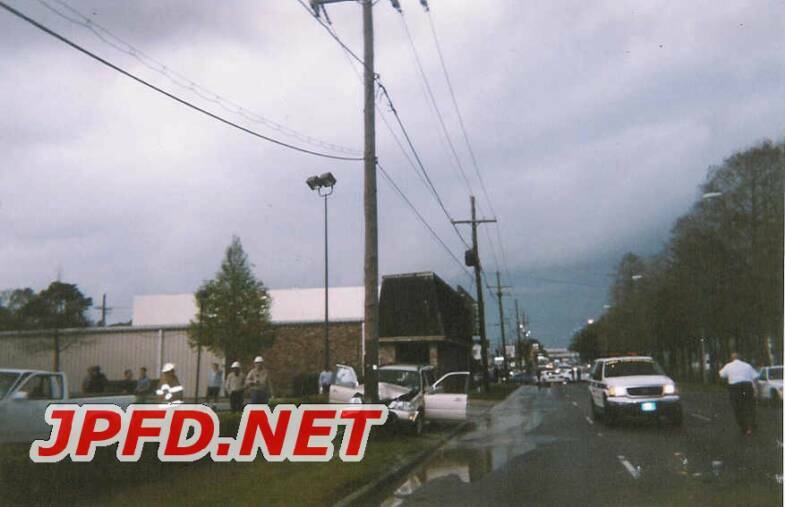 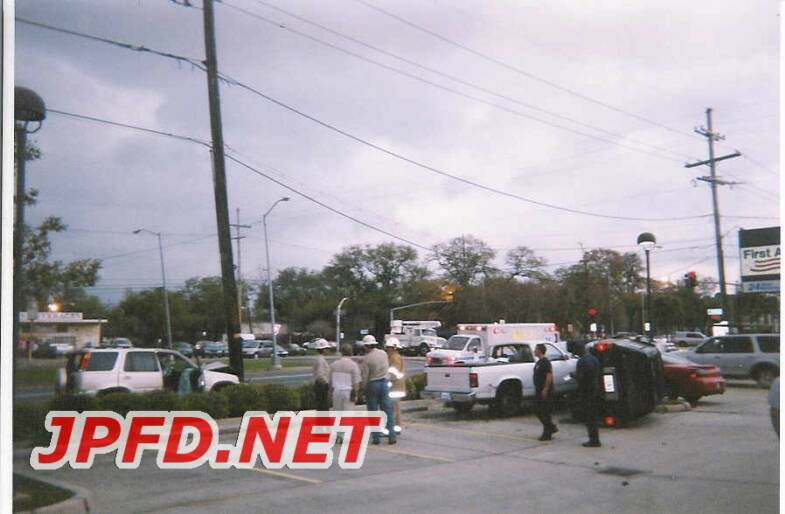 3/13/03: Multi Car Accident@Bonnabel and Vets.